January 27, 2019 at 7:52 pm. The ‘science is settled’ vaccine narrative is now effectively dead in the water. It was in July 2018 that the US Department of Health and Human Services (HHS) settled a court-ordered stipulation admitting that they could not produce 30 years of required evidence showing they have made improvements in the manufacturing, testing, warning, field surveillance, adverse reaction reporting and research on vaccines in order to reduce the risk of adverse reactions as mandated by the 1986 National Childhood Vaccine Injury Act (1986 Act). Furthermore, according to HHS’s childhood vaccine schedule, babies receive three injections of each of the following vaccines between day one and 6 months of life all untested against a placebo control. ​The layers of assumptions regarding vaccine safety that resemble this pyramid scheme should be enough to end ‘the science is settled’ debate. Will mainstream media and vaccine risk deniers continue to use settled science as one of their talking points? 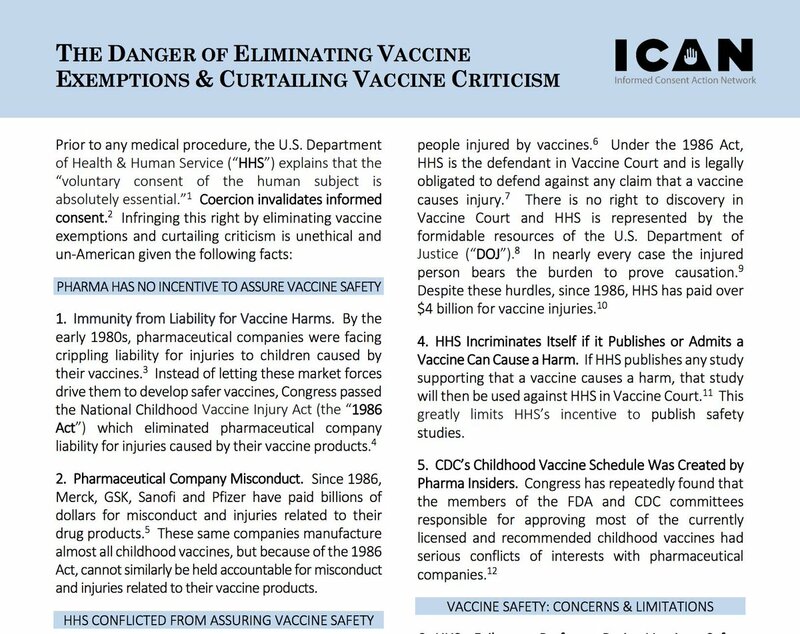 Looking at the headlines, the corporate media’s sole focus appears to be to label people who point out the issues and facts methodically laid out in the 88-page ICAN response conspiracy theorists and anti-vaxers. Almost no mainstream media outlet will unpack, or focus on, the many inconvenient facts about the missing vaccine safety science. Stepping back to look at the whole picture one could make an argument for an active, widespread astroturf initiative to direct attention and debate away from the lack of science underpinning the vaccine industry’s products as well as the injuries those products are causing.